PR adviser Max Clifford has denied allegations of sexual offences after his arrest yesterday as part of The Metropolitan Police's Operation Yewtree investigation. ‘These allegations are damaging and totally untrue. On a personal level they are very distressing for myself, my wife, my family and loved ones. 'Anyone who really knew me all those years ago, and those who have known me since, will have no doubt that I would never act in the way that I have today been accused of. The Metropolitan Police’s Operation Yewtree was launched in October to investigate historic allegations of sexual abuse after accusations that Jimmy Savile sexually abused numerous young people during his broadcasting career at the BBC. Clifford’s arrest fell under the strand of the investigation the Met has termed ‘others’ – meaning allegations that are not connected to Savile. Earlier yesterday Clifford's lawyer Charlotte Harris issued a statement confirming that Clifford was being interviewed by police and that 'Mr Clifford will assist the police as best he can with their inquiries'. Clifford is one of the UK’s highest profile PR practitioners. 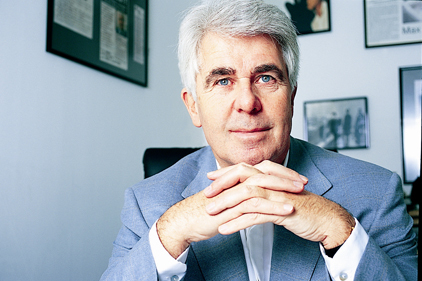 He established his agency Max Clifford Associates in 1970 and has represented a vast array of celebrity clients including Simon Cowell, Jade Goody and Mohammed Al Fayed.